Taylor Nicholas has been appointed to auction a prime mixed residential development site in sought after St Peters suburb. The sale process is handled by Managing Director Nick Spasevski. Mr Spasevski said the Inner West suburbs of Sydney are now a highly sought after location for families and young professionals wanting to be close to everything and not deal with the ever increasing traffic of the greater Sydney area. “St Peters is going through a rapid gentrification away from its industrial history and is becoming one of Sydney’s hottest residential areas," Mr Spasevski said. “The area’s transformation and increased residential development is attracting buyers for all the area has to offer. “Being located within walking distance to St Peters Railway Station, the vibrant cafes and restaurants on King Street that stretch from St Peters to Newtown, Marrickville Metro Shopping Centre and only 6km from the CBD ticks a lot of boxes for buyers these days juggling a work / lifestyle balance. “The stunning Sydney Park is a short stroll is made of 40 hectares of lush grass, landscaped gardens, rolling hills, meandering pathways and picturesque wetlands. Creeks flow throughout the park and attract all different types of birds. 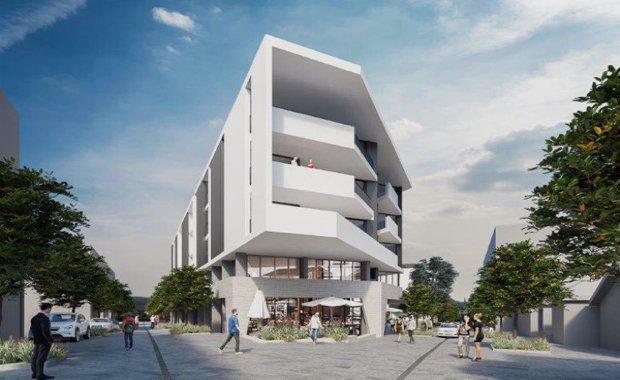 Pre DA plans (by Architect Joshua Farkash) have been submitted for the site with the Inner West Council for two buildings one of three storeys and the other five storeys. The plans have the potential for 5 commercial units, four home offices, 46 residential comprising of one, two and three bedroom apartments with basement level parking for 65 cars. (STCA)The Site has a fantastic corner location with two street frontages. It has an area of approximately 2,662 sqm. 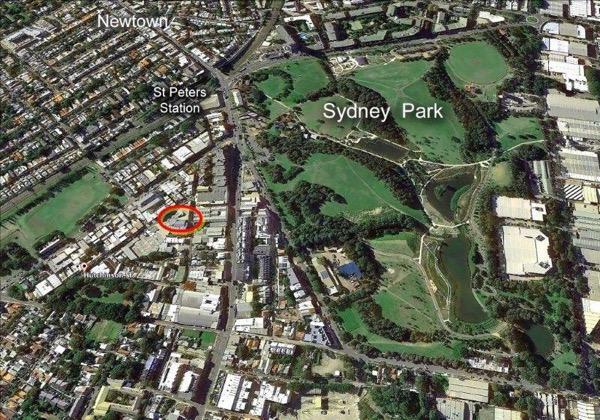 The zoning is B7 Business Park in the St Peters Triangle Precinct 25 under Marrickville DCP 2011.